UPDATED: Thu., Feb. 8, 2018, 11:45 a.m.
CLEVELAND – With the stunning force of a LeBron James dunk, the Cavaliers shattered their roster. Cleveland completely changed its look – and perhaps its chances of winning an NBA title this season – on Thursday with a stunning sequence of trades before the deadline, a person with direct knowledge of the deals told The Associated Press. 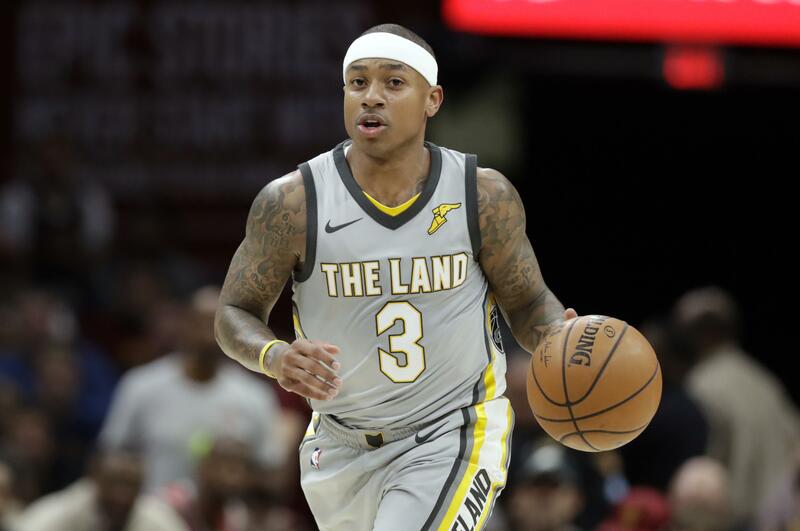 The Cavs began their overhaul by sending disappointing guard Isaiah Thomas to the Los Angeles Lakers, said the person who spoke on condition of anonymity because the teams are awaiting league approval to finalize all the deals. Thomas played in just 15 games as he returned from a hip injury and struggled to fit in, so the Cavs dealt him along with forward Channing Frye and one of their two first-round picks to the Lakers for point guard Jordan Clarkson and forward Larry Nance Jr.
As the Thomas swap was being digested around the league, the Cavs completed a three-team deal with Utah and Sacramento. The Cavs sent guard Derrick Rose and forward Jae Crowder to the Jazz for forward Rodney Hood. They’ll receive guard George Hill from the Kings in exchange for guard Iman Shumpert. And if all that wasn’t enough, the Cavs then dealt 36-year-old Dwyane Wade to Miami for a heavily protected second-round pick. It’s a homecoming for Wade, who played 13 seasons in Miami, winning three NBA titles – two of them with James. The massive makeover is intended to help the Cavs make another title run in 2018 with James, who can opt out of his contract this summer and become a free agent. The 33-year-old James has said he would like to finish his career in Cleveland and general manager Koby Altman, who has only been in charge of the roster since July, gave James a team he can lead back to the Finals. The Cavs also protected themselves if they lose James by hanging onto the first-round pick they acquired last summer in the blockbuster trade that sent All-Star Kyrie Irving to Boston for Thomas, Crowder and center Ante Zizic. Hours later, he was gone along with five other players who weren’t doing enough to keep the Cavs among the league’s elite teams. Hood and Nance will help Cleveland defensively while Hill is a shot maker who will benefit by playing alongside James. Published: Feb. 8, 2018, 10:39 a.m. Updated: Feb. 8, 2018, 11:45 a.m.